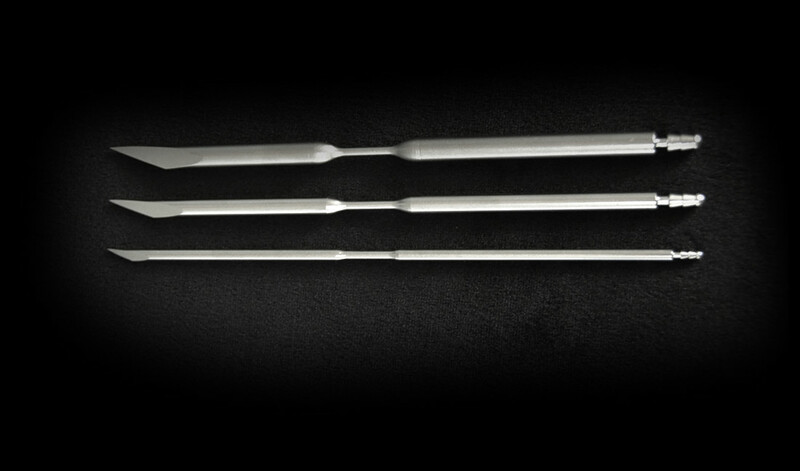 Wound Drainage Trocars are sharply pointed surgical components. Generally made from surgical-grade stainless steels. A Wound Drainage Trocar has a connection end that is either threaded or barbed or machined smooth to a specific diameter because it MUST be attached to a specific wound drainage tube as a component within a Wound Drainage system. These Wound Drainage Trocar components are disposed of once they have served their purpose. Our customers love coming to Disposable Instrument Company for their Wound Drainage Trocar components and including them in their Wound Drainage systems because of the superior quality cutting edge we are able to produce. The word “trocar” or “trocars” is derived from the French “trois” (three) + “carre” (side). Ironically Wound Drainage Trocars are typically only two faceted (sided) components. 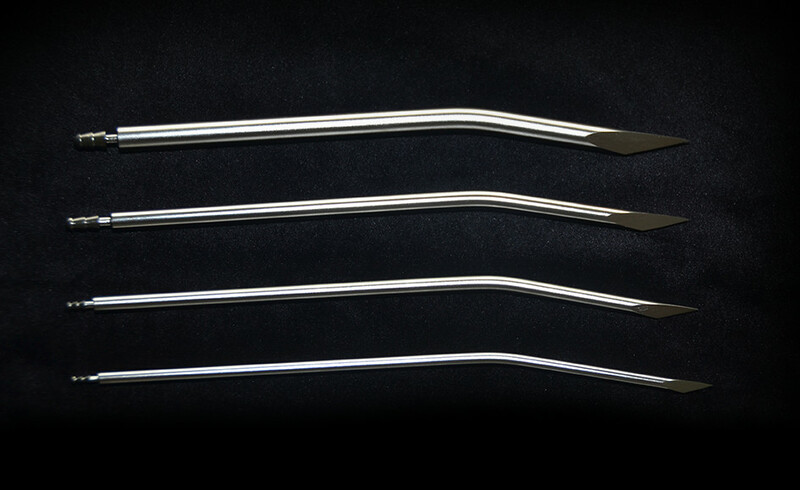 Available from stock with barbed or threaded connections, these Trocars are made of stainless steel that meets ASTM F-899 and ISO 7153-1, the controlling specifications for stainless steel surgical instruments. These stainless steel Trocars are precision crafted to your specifications. We’ll manufacture exactly what you need to your specifications and in your choice of material.